If you are part of an organization that is just a start-up in the first three to five years of operation, it is likely that you could always use more funding. We all could. It is tempting to turn to grants. After all, they are equity-free (non-dilutive funding), don’t need to be paid back, and are relatively free of the hassle that may come with venture funding or loans. Sounds great! Hold up! 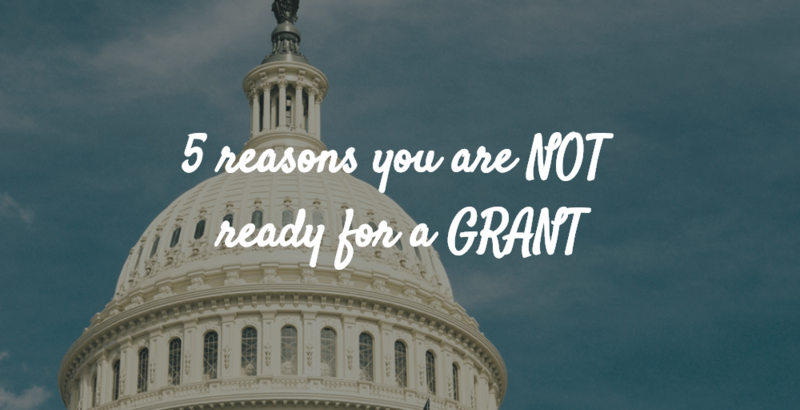 It is not as simple as simple as one may think, and if your organization is just starting out, grants may not be the best place to look for initial funding. Here are a few reasons why you should be wary of grants, and some other options for pursuing funding. #1. There are strings attached. While it is true that grants do not require equity (hence the label “non-dilutive funding”) and do not need to be paid back, that does not mean that they are free of requirements. Grants are typically provided for a certain period of time (6 months, 1 to 5 years, etc.) and may require deliverables. This means that funders want to see that your business is doing what the grant was intended for. This may require interim reports that provide data or narratives proving that the grant has achieved some form of progress. #2. Time-consuming (and resource-consuming). Grant applications are not easy. If they were, everyone would be filling out applications. Funders want to be sure their money is going to good use, they may require a long and complex application processes. Before applying for a grant, you should be sure that your organization has the time, the resources, and the staff to complete a competitive application. #4. Funders want to give to organizations that have a strategy and plan. Proposals require you to explain your organization’s plans in terms of goals and objectives in the near and immediate future. They require you to know where you want your organization to go and exactly what you need to do to get it there. This includes not only your big, overall dream, but the small steps you will take to achieve it. If you’re just starting out, you may not exactly know what your organization needs to be doing in the next three, six, or twelve months. If this is the case, funders will be less likely to feel confident providing a grant. #5. Most grants do not have a quick turnaround. It is slooooooow. On top of all of the time and effort that goes into a grant application, both before and after the application is available, the response time for grant awardees takes quite some time. It will likely be several months before you know the status of your application. If your organization is in need of quick funding, grants probably aren’t the best funding option. Overall, be sure that your organization is prepared to invest time and energy, and to provide a clear purpose and goal before you jump into the application process.